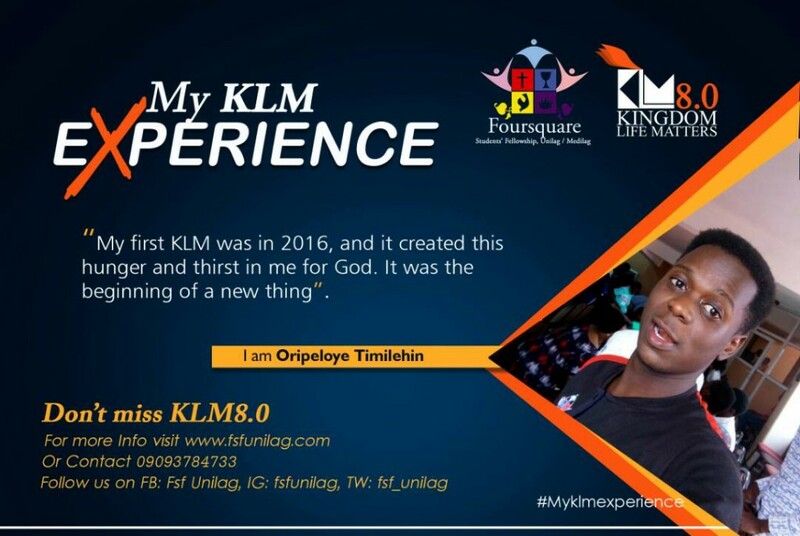 FSF UNILAG | KLM 8.0…All you need to know. KLM 8.0…All you need to know. 01 Apr KLM 8.0…All you need to know. 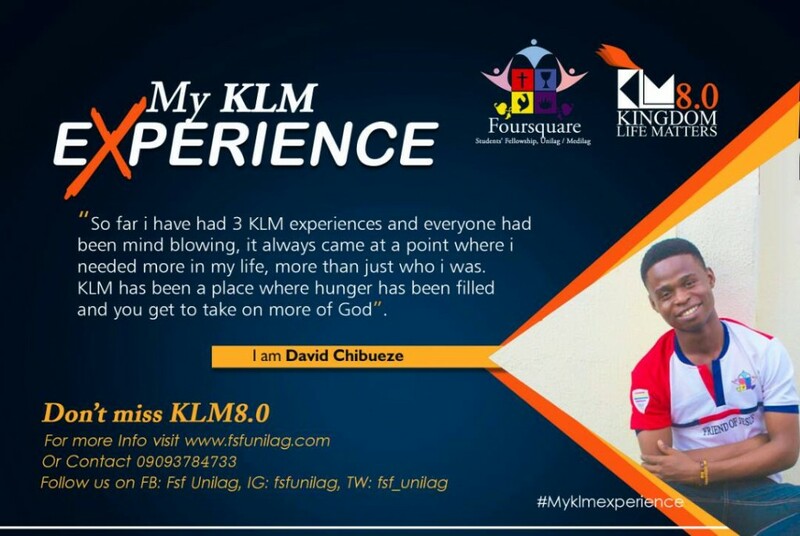 KLM is Kingdom Life matters, a year retreat organised by foursquare students’ fellowship Unilag and Medilag. Over the years, this great thing God started through the fellowship has been a blessing to a lot of people with evident testimonies to the glory of God. 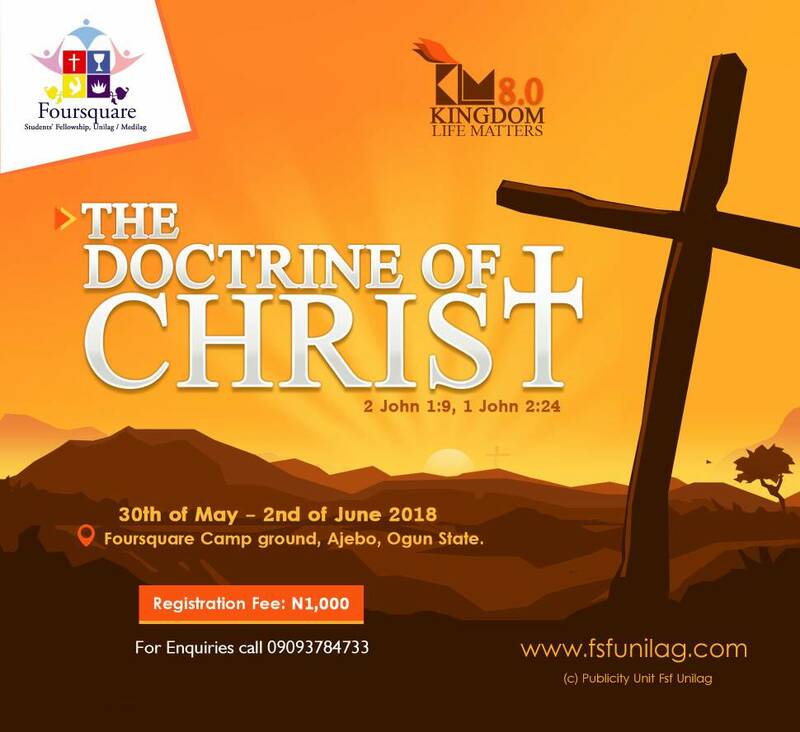 KLM started in 2011, where it was first held by members of the executive in fellowship, but has now been held for 7 years going with a large number of people who are members of the fellowship and non members to foursquare camp ground, Ajebo, Ogun state. This year 2018 will make the 8th edition which promises to be Glorious as God will reveal Himself to His people again in a greater light. We cordially invite you to be part of this awesome experience of KLM 8.0. Text: 2 John 1:9, 1 John 2:24. Date: 30th of may to 2nd of June, 2018. Veneu: Foursquare camp ground, Ajebo, Ogun State. You don’t want to miss the package. Register Today. For more information contact :09093784733.